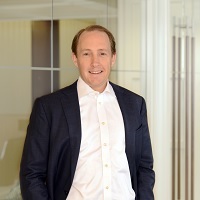 Blair Faulstich is a managing director with Benefit Street Partners and is based in our New York office. Prior to joining BSP in 2011, Mr. Faulstich was a managing director and co-head of media and communications investment banking at Citadel Securities. Previously, he was a managing director in the media and communications investment banking group at Merrill Lynch. Mr. Faulstich held various positions at Deutsche Bank Alex. Brown in the media investment banking group. Before joining Alex. Brown in 1997, Mr. Faulstich spent three years at Arthur Andersen. Mr. Faulstich received a Master of Business Administration from Cornell University and a Bachelor of Arts from Principia College.